Which Trader Royally Screwed Over Hedge Fund Genius John Arnold Last Year? 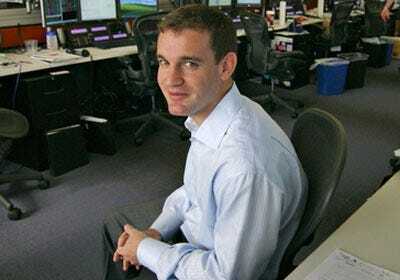 Energy-trading prodigy John Arnold had never had a down year before 2010. Since he launched his hedge fund, Centaurus in 2002, he managed an annual growth rate of about 125% and stellar returns. But for a host reasons last year (a gas glut, new regulation) he was forced into an 11th-hour asset sale to patch up the losses in his portfolio, AR reports. And apparently one of those reasons is a reckless mystery trader. People close to Centaurus say it was not [Arnold] but one of his traders who drove returns into the red with a bullish natural gas bet that dragged down the fund’s performance. At the end of October, Centaurus was down more than 8% for the year. By December those losses weren’t as bad – in total the fund lost 4% of its value in 2010, compared to the previous year, but for a guy who’s not used to losing, that had to hurt.